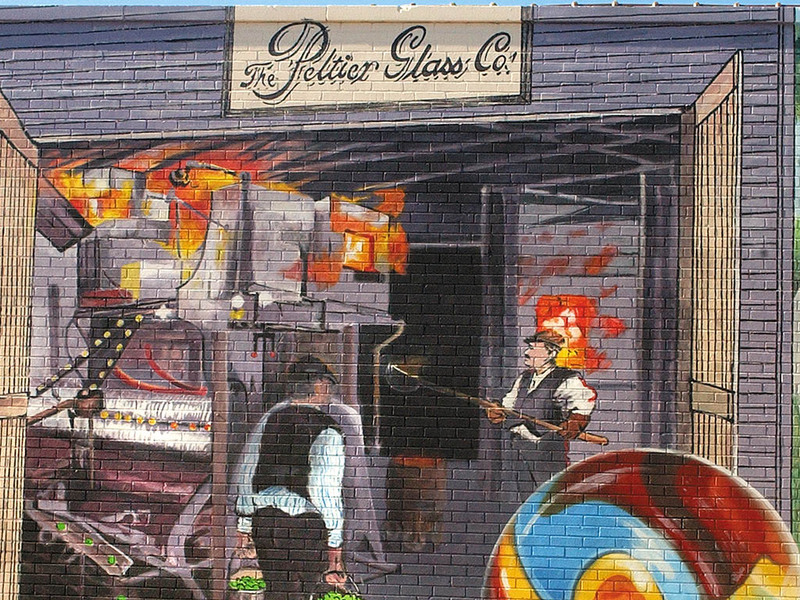 In 1886, a young French glassblower named Victor Peltier opened his own company in Ottawa. Peltier Glass made opalescent glass, sheet glass, stained glass and glass marbles. 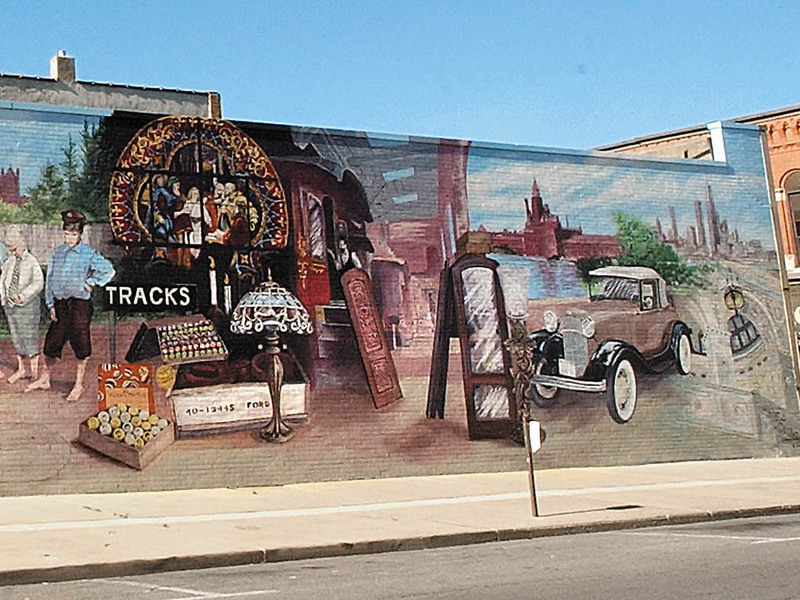 In this mural, you can spot not only the innovative machinery that occupied the factory, such as the marble-making machine, but see some of the products that the factory made. 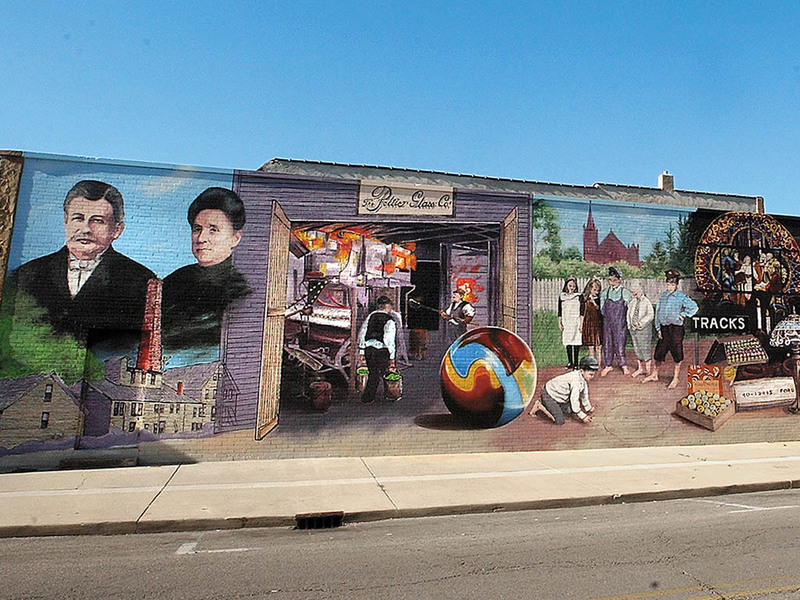 St. Patrick’s Church and Chicago’s Cultural Center represent some of Peltier’s clientele, as does the Ford Motor Co., which purchased Peltier glass for headlamps and shift knobs. Louis Comfort Tiffany, whose lamps and products were much sought-after home decor, purchased colored glass from Peltier. 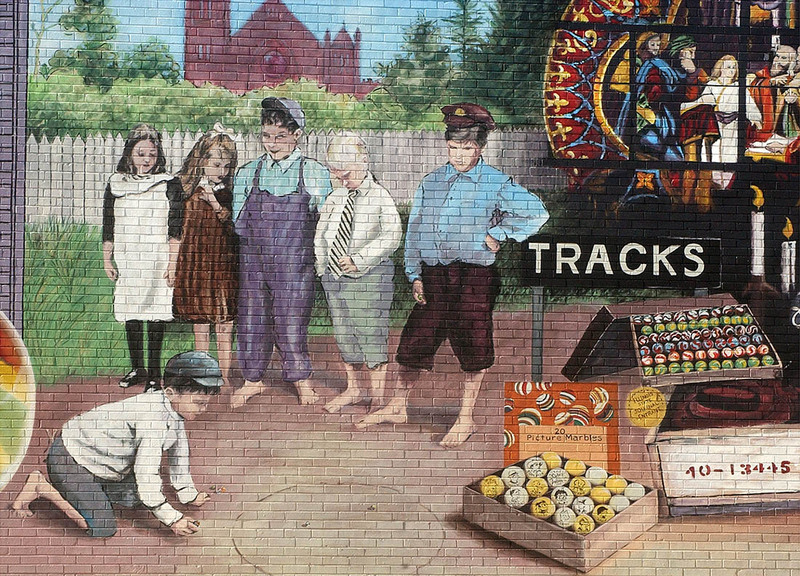 Populating the mural are some of Peltier’s smallest customers (painters copied the faces of current Ottawa children) as they enjoy a 19th century pastime of shooting marbles. From Ottawa’s oldest factory, Peltier’s glass has traveled to all corners of the globe.